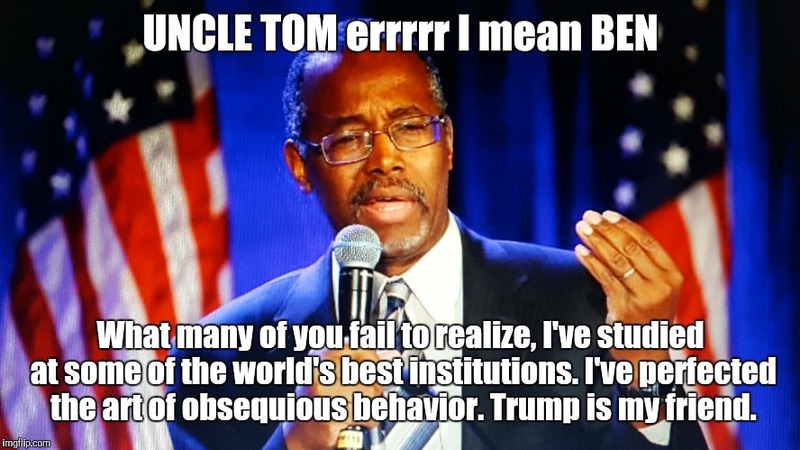 UNCLE TOM errrrr I mean BEN; What many of you fail to realize, I've studied at some of the world's best institutions. I've perfected the art of obsequious behavior. Trump is my friend.